We can give no cause for much criticism of appreciating Hollywood blockbusters in theatre at our spare time, but we still opt for staying at home to watch a wonderful TV show instead of queuing in a long line for the expensive film tickets. 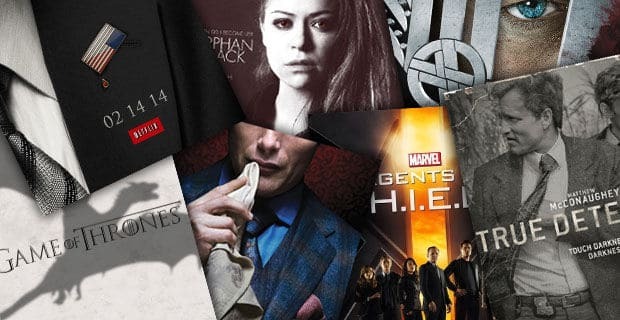 So if you are the one who's fed up with crowd but more prefer to a cozy TV show enjoyment this summertime, here we've sought out the best TV shows 2015, upcoming new TV series in 2016, and must-have TV shows of all time that are worth of adding to your watchlist and will amuse you all through the summer. Those TV shows mentioned below are no doubt the best and classics. If you've listed them in your DVD collection, you may apparently notice that these DVDs are venerable to scratch or damage, which is apparently the hindrance for you to watch high-quality DVD videos, not to mention the inconvenience to carry all the DVDs of TV shows along your trip as a TV show is generally made up of several DVD discs. 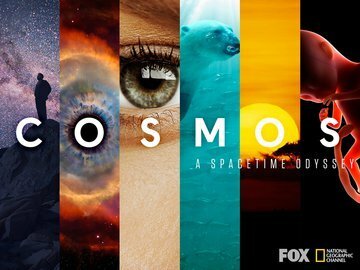 Take the best TV Show 2014 Cosmos: A Spacetime Odyssey as an example. It costs you $31.99 and is 4-Disc Version. To help you out of unnecessary wasting money on the already-have DVDs and inconvenience of taking along discs, the highly acclaimed MacX DVD Ripper Pro is ready for you and offers you the best way to rip episodes from TV show DVDs, aiming to help you out of DVD saving and playing issues. Tips: The following TV shows are released or to be released in DVD versions on Amazon or other DVD stores. For the best ones, they are definitely worth your lifetime collection. And the best DVD ripping software for Mac offers you the ultimate option to make a backup of DVDs to your hard drive to avoid careless damage and rip DVDs of the best TV series for playing on your mobile devices instead of the annoying network speed during online watching. What It's About: A 2014 American science documentary TV series that probes into how we discovered the laws of nature and found our coordinates in space and time. 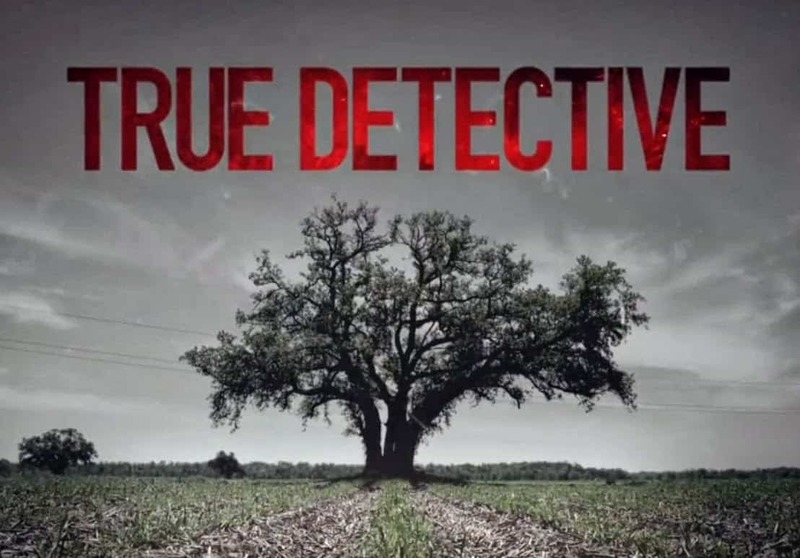 What It's About: An American television crime drama series on HBO depicting the lives of two detectives, Rust Cohle and Martin Hart, becoming entangled during a 17-year hunt for a serial killer in Louisiana. 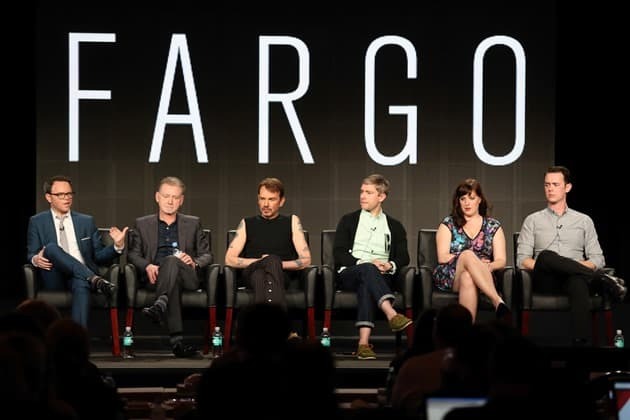 What It's About: An American dark comedy-crime drama television series telling about a drifter named Lorne Malvo who arrives in small-town Minnesota and influences the population with his malice and violence, including put-upon insurance salesman Lester Nygaard. 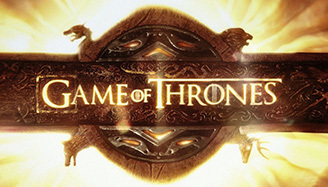 Synopsis: While a civil war brews between several noble families in Westeros, the children of the former rulers of the land attempt to rise to power. · Bypass all copy protections, CSS, RECs, Disney etc. Below are the top picks of the new TV programs worth watching in latest 3 years, which will really stand out over the others. The following listed below are the best TV shows of all time with not only great viewership but also highest ratings. I bet you must be impressed with some of the best TV shows. After you have checking so many awesome TV shows, you must be curious about how to rip these TV shows to your iPhone iPad Android devices for watching on the go. Here we go for a simple guide to rip TV series DVD for playback on mobiles with the help for the best DVD ripper for Mac. Free download top DVD ripper of Mac version or Windows version and launch it. Then click "DVD Disk" to load your TV shows DVD. Choose MP4, or directly the mobile devices, like iPhone Xs Max/Xs/XR, iPad Pro, Sony Xperia as the output format for these TV shows. Click "Browse" button to decide where to save the ripped TV series on your computer. Tap "RUN" button to begin the task to convert DVD to MP4 format or iPhone iPad Android devices within a few minutes. Want to know the best video format supported by iMovie? This article will tell you the best supported video format for iMovie so that you can import video to iMovie for editing on Mac. This guide shows you how to convert and import DVD to iMovie for free with MacX Free DVD to iMovie Converter which can rip both copy protected DVD and homemade DVD to iMovie for video editing. 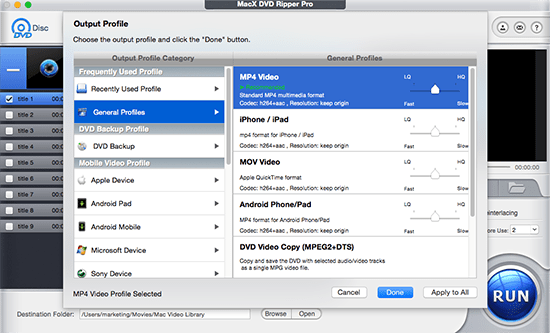 MacX DVD Ripper Pro is the best DVD Ripper for Mac which can freely remove any copy protections and rip best TV shows eposides from DVDs to various video formats (MP4, MOV, MKV, AVI, FLV, etc) and portable devices with original quality.